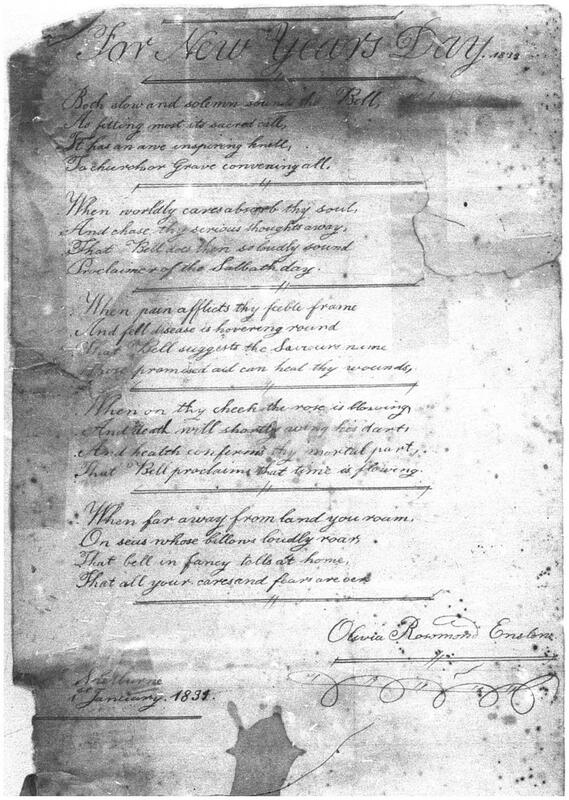 The following handwritten poems were unexpectedly found among the more predictable administrative documents of the Records of Shelburne County Court of General Quarter Sessions (originals held by the Nova Scotia Archives). They were penned in the town of Shelburne, Nova Scotia in the early 1830s and signed by Olivia Rosamond/ Rosomond Enslow. Nova Scotia, Court of General Quarter Sessions of the Peace (Shelburne County), Records: 1784 –1880, Series M, “Miscellaneous Items” RG 34-321 (file 16, M. 75). 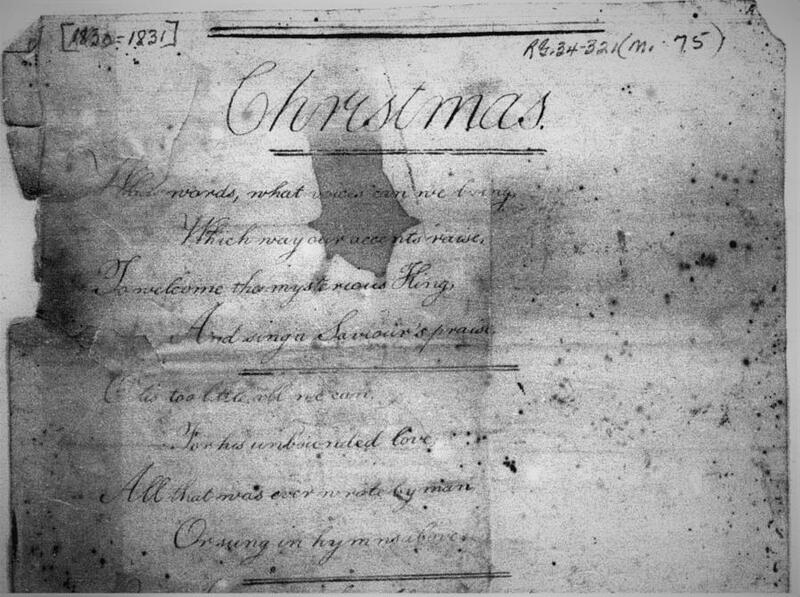 Originals held by the Nova Scotia Archives. And sing a Saviour’s praise. Or sung in hymns above. And make his angels hear. To church or Grave convening all. Proclaimer of the Sabbath day. That Bell proclaims that time is flowing. Can you help with our big question? Who was Olivia Rosamond Enslow? A clue: Isaac Enslow was Clerk of the Peace for Shelburne County, Nova Scotia at the time the records were created, so it is reasonable to assume that she was a relative. Thanks in advance for your help with this mystery!